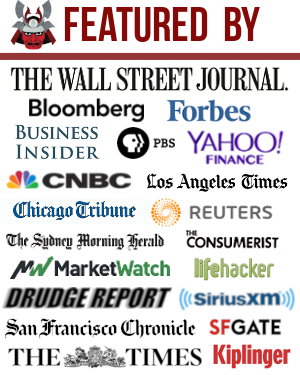 One big goal on Financial Samurai is to highlight to readers what is financially possible. Once you know what is possible, you minimize your limiting beliefs and tend to strive much farther. Through close to eight hours of research and production, this post will explain how you can add more than $100,000 every year pre-tax to your retirement account if you have the right employer and proper strategic money making mindset. The 401k maximum contribution for 2019 is $19,000. The increases will likely continue by $500 increments every year or two to keep up with inflation. Contributing the maximum pre-tax a year for 30+ years will most likely make you a 401k millionaire by the time you retire. Unfortunately, $3 million is the new $1 million, and in 30 years, $7 million will likely be the new $1 million if we assume a 3% annual inflation rate! The 401k is not enough for most people to retire on. Sure, we potentially have Social Security to help us when we reach, at the earliest, 62 years of age. But I wouldn’t count on the government to properly manage our money until then. Beyond maxing out a 401k every year, I encourage everyone to also invest at least 20% of their after-tax, after-401k money into a diversified investment portfolio. As a contractor over the past year, I’ve discovered something that will really supercharge one’s pre-tax retirement savings. The discovery still seems too good to be true, so for any of you tax gurus out there, please speak up and correct me if I’m wrong. We are going to crowd source this post into one of the best maximum pre-tax retirement posts around. The research I’ve done is based off the IRS website, my own experience, and speaking to Fidelity’s small business retirement department where I have a rollover IRA, SEP-IRA, and Solo 401k. Let’s say you’ve got a cushy $212,000 a year job. You can only contribute the maximum 401k amount of $18,500 as mandated by the Federal Government if your employer has a 401k plan. The maximum 401k contribution amount is the same whether you make $50,000 or $500,000. Other pre-tax retirement contributions may come from a company match, but the average 401k match is getting pretty pathetic nowadays (4% of base salary or less). Furthermore, you can only contribute to a traditional IRA $5,500 tax-free in full if you make under $61,000, with complete contribution phaseout after $71,000 for an individual ($98,000 – $118,000 for a married couple). So what is a retirement super saver supposed to do if s/he wants to save more than $18,500? 1) Find a better employer who will contribute more to your pre-tax retirement savings account(s). Max is $55,000 for 2019. 2) Be an employee and a contractor/business owner! Max is $110,000. The first thing I did when I left my old job of 11 years was roll over my 401k into an IRA. There are many benefits to a rollover IRA, including more investment options and lower costs. The only issue with my rollover IRA is that I can no longer contribute pre-tax to the investment account. Its growth mainly comes from asset and dividend growth. I don’t bother contributing $5,500 in after-tax money because of the two other retirement accounts I get to contribute pre-tax. As an employee of an online media company, I get to participate in the company’s SEP-IRA plan. Any self-employed individual or business owner with or without employees can open up a SEP-IRA. The funds are completely funded by the employer. The employer can contribute up to 25% of compensation, up to a maximum of $55,000 in 2019. Doing simple math to discover how much income you need in order to save $55,000 using a 25% contribution rate = $55,000 / 25% = $220,000. IRS link on SEP.
Making $220,000 is not exactly a piece of cake as an employee. You’ve probably got to pay your dues over many years to get to such a level or more, but it’s possible. If you do manage to make $220,000 in income, you’ve still got to pay Federal tax, State tax (if you are not living in a no income tax state), and FICA tax (6.2% Social Security + 1.45%) on that income. After you make $262,000 or more, you’ve got to then convince your employer to contribute 25% of your income to your SEP-IRA. As an independent contractor, I’ve opened a Solo 401k (aka KEOGH 401k, Self-Employed 401k, One-Participant 401k), which is meant for a business owner with no employees. My duties as an employee for an online media business is different from my contracting business. The online business makes money mainly through advertisement. My contracting business makes money by me consulting with other companies mainly on their content marketing initiatives. The Solo 401K has the same contribution limits of up to 25% of compensation, to a maximum of $55,000. So in other words, I can try and make $220,000 as an independent contractor to contribute $55,000 pre-tax in my Solo 401k as well. The grand result is that a ~$430,000 combined income can ultimately save a total $110,000 in retirement accounts tax deferred. The combined adjusted gross income (AGI) is therefore $425,000 – $108,000 = $317,000, which is taxed at a 33% marginal Federal tax bracket. I originally thought the total pre-tax retirement contribution was $55,000 across all accounts. But when I called the Fidelity retirement department for small businesses, they verified with me that I can indeed contribute $110,000 total if I have two separate accounts as an employee (with no ownership) and independent contractor. The idea is to open a SEP-IRA as an independent contractor/business owner if your employer has a 401k program, and vice versa. If you open up a solo 401k while already contributing to an employer 401k, then the max you can contribute is $55,000 combined. Given there is a progressive tax system in America (see chart), making $500,000 a year in combined income might not be the best move to avoid the marriage tax penalty, which has almost all but gone away after Trump’s 2018 Tax Reform plan. If you decide that you want to make $500,000 a year in income to contribute ~$120,000 in pre-tax retirement money, then you must make $500,000 as an employee and as a contractor/business owner. Remember, there’s only one type of main retirement account per business entity, and that one retirement account limit is $56,000 a year or 25% of income, whichever is less. In other words, if you make $425,000 in your business alone, you can’t contribute $425,000 X 25% = $108,000. You can only contribute $54,000 to your SEP. The solution is to therefore try and earn as close as possible to $220,000 in income as an employee for the SEP-IRA, and another $212,000 as an independent contractor for your Solo 401k. Remember, the government sets these pre-tax contribution rules, not you or I. President Obama made it clear when he was debating Mitt Romney that any individual or married couple making over $200,000/$250,000 is considered rich, and will be targeted for increased taxes and deduction/credit phaseouts. The compromise in the House was made for increasing taxes on income over $413,200 a year. The above chart highlights five different scenarios that encapsulates most people. The first two scenarios in blue are for people who are employees only. Most people don’t take full advantage of their pre-tax retirement contributions (scenario 1), but some people do (scenario 2) and will really accumulate a health financial nut over time. 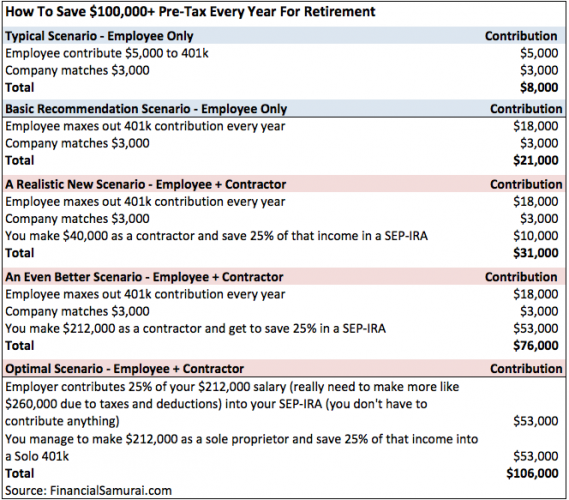 The three other scenarios in red are employee plus contractor scenarios, which enables one to save way beyond the typical amounts due to the opening of a SEP-IRA or Solo 401k as a contractor, whichever your employer doesn’t have. 1) Your employer might not agree to let you start your own business or work as an independent contractor. The solution is to join a company that provides you the flexibility to consult after hours. Maybe you become an employee of a relative, a good friend, or simply a progressive company that allows for greater freedom. 2) Your employer might not value you enough to pay you $212,000+ in salary. 3) Even if your employer pays you a $212,000+ salary, they might not be willing to then provide profit sharing up to the maximum limit a year via a SEP-IRA or 401k plan. It is more common for larger corporations to offer 401ks over SEP-IRAs because once a business says they will contribute X % to an employee’s SEP-IRA, they have to contribute X % to all employee’s SEP-IRA. You can see how the cost to the business can get very cumbersome. With a 401k plan, a company allows the employee to choose their own contribution, and then offer usually a much smaller employee match. 4) You must not have common ownership in any of the employers you work for. As soon as you have common ownership because you started the company or you and your wife started the company, the IRS has new limitations of contribution for you. The IRS doesn’t want you to open up 10 different companies, spread out your millions in income, and defer $550,000 ($55,000 X10) in tax free earnings in your retirement. 5) You’ve got to remove your limiting beliefs about how much you can make as a sole proprietor. If you think making $220,000+ as an employee is difficult, wait until you try making $220,000+ with your own two hands from nothing! But like anything that is done over a long enough period of time, things get better due to experience, expertise, and higher rates. Come retirement time, we’ll still have to pay taxes on all our pre-tax contributions when it’s time to withdraw funds. By then, we’ll surely be able to tactfully withdraw money in a way that gets taxed the least. Chances are higher that when we’re in our 60s, 70s, 80s, and beyond, we won’t be making as much money as when we were working anyway. Note: I’m not a tax accountant. It’s always worth speaking to a tax advisor about such things. 1099 income for an independent contractor/sole proprietor is tricky and you would have to make closer to ~$260,000 income to get to max out at $56,000 (for 2019) due to taxes and adjustments for a SEP-IRA. The biggest confusion people have is thinking $56,000 is the limit across all accounts. I thought the same thing too. $56,000 for 2019 is the maximum you, the individual/sole proprietor/owner of your business can contribute. But if you are somehow an amazing person who can get employers to hire you, pay you lots of money, and contribute the max $56,000 a year, then it’s the individual company’s choice to contribute to your retirement up to the maximum if they wish. It helps to think like an employer when it comes to such dynamics. Manage Your Finances In One Place: I recommend signing up for Personal Capital, a free financial management tool online that helps you track your net worth, analyze your investments for excessive fees, and manage your cash flow. I ran my 401k through their 401k Fee Analyzer and found out I was paying $1,700 a year in fees I had no idea I was paying! What if you’re a W2 employee for a company but then also get 1099 income from that same company for your business? Would you still get the same 56k/year limit for each with a 401k for one and SEP IRA for the other? What if you are an employee of 2 different companies? One offers a sep ira and the other a 401k? I am in such scenario. My employer with sep ira will max the $55k per year for me at 20% contribution. Can I also max my other employer’s 401k at $18.5k/year plus get the match? Thanks! Sam, there is one key tax you did not talk about when it comes to savings in income taxes. For all the self-employed IRAs and 401Ks, one can contribute to all those plans if they have earned incomes. One has to pay self-employment taxes on earned incomes which is about 15.3% (social security plus medicare). Hence the net savings in income taxes have to account for the self employment taxes one has to pay. The bottom line is the savings will be reduced by the self employment taxes. How do 403(b)s treated in all of this? Are they basically equivalent to 401(k)s? What if you want to do a backdoor Roth and need to have zero money in all IRAs by December 31? If your consulting/contractor work was in a SEP-IRA, could you move that money by December to take advantage of the backdoor Roth? First of all, that I you for your very interesting article. I hope you have your trade name protected under the Trademark statute. It’s a great name. Now for my questions: Let’s say, hypothetically, I’m an attorney age 55 and own my own law practice that is organized as a PC in Texas. Through the PC, I provide legal advice to my clients. Through a separate business, an LLC, owned entirely by me, I do consulting work that is not legal advice (I sometimes testify as an expert witness, give speeches or write articles). The PC has a 401(k) and I contribute to the max. Based on your research, how much can I contribute as the employer to my 401(k)? The LLC currently does not have anything setup for retirement. Based on your research, what is the best option? Again thank you for your blog. I agree that is well written and your research demonstrates that you are truly … a financial samurai. Why do you need 212k income from your own solo owned business to put 54k in the Solo 401k? From my understanding of you have your own S corp with you as the only owner and employee than you can run an annual salary of 144k for yourself. As an employee deferral you contribute 18k into the Solo 401k and as an employer match you contribut 36k (25% of gross wages 144k) into the Solo 401k. This will help you reach the 54k max with a gross income of 144k on W2 from your own S Corp (or any entity for that matter). In other words, if my business earns 144k (plus some more to cover taxes or fees etc) and it pays me a 144k salary then I could still put aside 54k pre tax into a Solo 401k. Please revert and thanks for this great website. This may be correct. See: How Much Can You Actually Contribute To Your Solo-401k? Hello! The content on this website is amazing (especially for those self-employed like me now)! I’m trying to max out my the employer side of the 54k I can contribute. I can contribute 54k towards my single-person LLC. What is required to be an “employee” of the firm? I assume being an uber driver, independent contractor for mystery shopping, real estate agent, these things all do not apply? Has anyone gotten a part time (high paying) job with a company part time? And if I do so, I can only contribute 25% of my salary with the company? If presented with a salary, has anyone ever asked for their salary in the form of a 401k “bonus/matching/etc” from the company instead of receiving the salary? So if you were offered making 100k a year with a company, ask for 36k in discretionary bonus, and have your salary on paper be 65k? Also when you have a solo 401k for a side business, if you are a sole proprietor does the business have to be one specific thing? or can you make money doing a variety of different things and consider it all the same business? Check out: How Much Can I Contribute To My Self-Employed 401k for the contribution formula. My husband and I are business partners can we EACH contribute 53K to our individual SEP IRA’s? My CPA can’t seem to give me a straight answer. What is your income each? i’m surprised your CPA cannot answer you. You must contribute the same percentage of your income across all employees. Last year combined we made ~437K total. Yes, We did the same percentage (~11.5%) between us and our one employee BUT OUR total for BOTH (mine and my husband’s) SEP IRA was 53K total. I’m trying to figure out if we could exceed 53K but not more than 106K, while keeping the equal % across the board. I’m not sure of our income total this year yet. MY CPA just recited the IRS website to me which I have already read and does not seem to clarify our specific circumstance. My investment banker seems to think we should be able to contribute more than. Kristin, you guys are two separate people, even though you are married. With a 401k, married employee couples can each contribute $18,000 pre-tax max. I don’t see what the difference is with a SEP IRA. Two people, two retirement accounts, two workers, two contributors. I’m afraid to give you or anybody public tax advice b/c taxes are so darn confusing and I don’t know your full financial situation. I just know about my situation and used my example of how I could contribute to a self-employed 401k and also receive SEP IRA contributions from my employer. Good luck and let me know what you finally decide to do. Also, how did you find my article btw? FS has been around since 2009. Feel free to check out my About page for more background info and my other tax-related articles. I am going to consider us each individual entities and therefore contribute more that 53k total. I think that seems to make more sense. I googled my question and your article was one of the top few that appeared on search. I will look into other articles for yours, thanks you! If I understand correctly in this scenario you could have sheltered the full 53k for both you and your husband in a solo 401k. 18,000 for you, + the business’ contribution of 25% of employee earnings or 20% of business earnings (not sure which) could net you a maximum of 53k. All “employer” contributions are given to both employees. So he’ll get the same 20% or 25% from the business that you did as well as his own 18k contribution. Solo 401k’s allow a little higher contribution than SEP if you’re over 50 with the “catch up” feature allowing up to 120k per year (2017) in tax deferred savings in a scenario like yours. I haven’t seen the same scenario confirmed with a SEP or I’d happily share my data on it. I’m just an enthusiast and have probably horribly bastardized half the terms here, but I do believe it’s possible from my research. I hope this might be helpful to you next tax season. Quick question in regards to individual/Solo 401k’s. So if i have a side business that generates $10,000 a year after operating costs, I can only contribute 25% of the $10,000 into my Solo 401k or Individual 401K? Or could i put the entire $10,000 into it and essentially have zero net income from that job? Started an S-Corp 1/1/16 that grossed 220k is net 100K coming into december….I have another w2 role that is 110K. Wife has no salary. What should I do? put max 30K or whatever limit is into 401K? Goal is to minimize taxes. Is the law for the scorp I have to pay myself a reasonable salary what someone would make in that position even though I dont need a salary from it? I am looking for an accountant I can speak on the phone an pay for advice…Any recomendations? I’m sure there are many accountants near you to call. Related post: How Much Can You Pay Yourself In Salary And Distribution As An S-Corp Owner? Hi Sam! Been reading this site for a long time. Wanted to ask if you ever thought of opening some sort of forum feature or something similar to help your readers network with each other? I have a hard time meeting other people I can talk about financial strategy with, and ideally want to meet people with same mindset to pursue business opportunities with. I know high earners but not many who want to save >50% of after-tax income. I’m 27 with a net worth of approximately $550k. I fully admit $100k was a gift & early inheritance, then then rest was from saving W2 income, lived with parents a couple of years, luck, and pouring almost all savings into a high cap commercial real estate deal. My active income is going to increase substantially once I graduate from my master’s program (got a scholarship so $0 debt). My undergrad was finance and graduate degree in tech (data analytics). I’m set to make about $150K in W2 income + $45K in rental real estate income next year. My goal is to keep converting my active income savings into a passive income stream to reach FIRE. Ideally I want to enter high-tech entrepreneurship, but I need like minded business partners to achieve it. I would gladly pay some nominal subscription fee for this kind of networking. Just an idea! Hi there! Thanks for reading. I’m actually in the process of setting up for him. But it’s taking a little bit longer because I need some time to figure things out. I’ll give it a go and see what happens. It should be up before the new year. This are some good ideas, but very difficult to achieve. It would seem the first avenues to approach would be getting income coming to your spouse, choosing a Roth 401k, and maxing out some 529 plans for a traditional earner. Once you’re at the 18000 max and don’t have a real way of achieving greater savings, the only option is to go Roth 401k and effectively save more. My wife and I have a company 401k that we max out every year and are owners of a side business that spins off about 500k/year. How do we set this up so my wife and I can contribute an additional 53k/year each to reduce our taxable income. Also, can we still do a backdoor Roth IRA doing this? I imagine we’d have to rollover the SEP IRA into maybe my companies 401k??? Side business is established as an LLC. I am on track to make about 500k net for the very first time. I have very in-consistent income given the field I work in. I’ve had years of un-employment (4 years), zero income and struggled to make ends meet. Next year I could make as little say 60k, If I find work, it’s that in-consistent. I’d like to save as much as I can for retirement and pay as little in taxes as possible. Is it possible to spread this years income over a few years? I’d like to hear your thoughts on tax strategies to pursue. I’m a single person S corp. Wife does not work. I am married, filing jointly. My wife is a sole proprietor with very low net income after business expenses (she has a coaching business and is also an athlete so her business pays for the races/travel/equipment/etc she needs). Can we use earnings from my day job to fund Solo 401k? I am having trouble finding the rules on this. Suppose you have your own biz and net income of 500k/year after all expenses. You pay yourself 100k and take home 400k in distributions. You have 3 employees that are each paid $30,000. If you set up SEP ira, don’t you have to also put in 25% to your employees pensions? I would first say be careful. Paying yourself a 1:4 salary:distribution ratio is a red flag by the IRS as it indicates an aggressive desire to avoid paying self-employment tax. Shot for a 1:1 ratio instead. Wife and my S-Corp collectively pay 15.3%; however since my wife’s other job pays her $120,000 and all of her social security has been paid out for the year; the actual percentage paid is the Medicare tax of 2.9% of $18,000 or $522. Half of the Medicare tax, or $261, would be an expense on my S-Corp’s K-1. My wife would pay neither Federal nor State tax on the $18,000 W-2 salary. There would be minor miscellaneous fees and taxes associated with putting my wife on payroll – essentially $2 per pay run plus unemployment taxes. So in effect my wife would be paid $18,000 that would go into the 401k and I/she would pay $261 + $159.21 (tax effective $261 * (.33 Fed tax + .06 State tax)) in Medicare taxes plus the minor payroll and unemployment fees. I know I’ve got to be missing something because this scenario seems way to good to be true. If I didn’t pay my wife $18,000, I would be paying $7020 in taxes on the pass through income to me. I’m fairly certain that even though she maxes out of SS tax at her other employer, your S-corp would still be responsible for its SS tax share. Each employer owes its share. So if my wife earns $25,000 (net) from her own business, my understanding is that she could open up an Individual 401k plan and contribute $18,000 (as an employee contribution) plus 25% of her net earnings, or $6,250 (as her employer contribution). Thus only having to pay tax on $750. Does she owe self-employment tax on the net $25,000 or just the $750? I think the $25,000. I am so looking forward to a solid response to this question. It sounds totally LOL question, but its absolutely valid question. Any takers? And Yes, you will have to pay SE Tax on the $25,000 which would be $3,532. NOTE: She would be in negative territory at (1,179) when all said and done. Thanks for the info. Negative territory is ok. Sound like all of her income would be shielded from income taxes, at the 33% rate (for us). I figured she’d have to pay the SE tax. In essence she would be paying about a 15% tax on her income. I’ll run the numbers in my tax software and get back to you. There’s the standard deduction and exemptions you guys are missing. @Brian, you are correct, I was just giving high level example on what S was asking. I’m going to have to look at this in more detail. To give you some more info. We do not pay state income taxes. Wife is sole proprietor, not incorporated. I really wish to avoid incorporating, so as to avoid having to file another return, etc. We are in 33% tax bracket based on my income. The idea of contributing about all of her income into an individual retirement account seems too good to be true, but maybe it can be done. @Chriva, as I mentioned the example is for sole proprietor. I wouldn’t be able to comment 100% for an S Corp entity. Would leave that to someone else to comment on with certainty. How much can I put away? I own my own business, partner in PLLC, we have a simple IRA(i do not contribute personally wife does). I also work at a public University and have access to a 457b and a 403b. I also am a military reservist and put about 10k/year in the TSP. 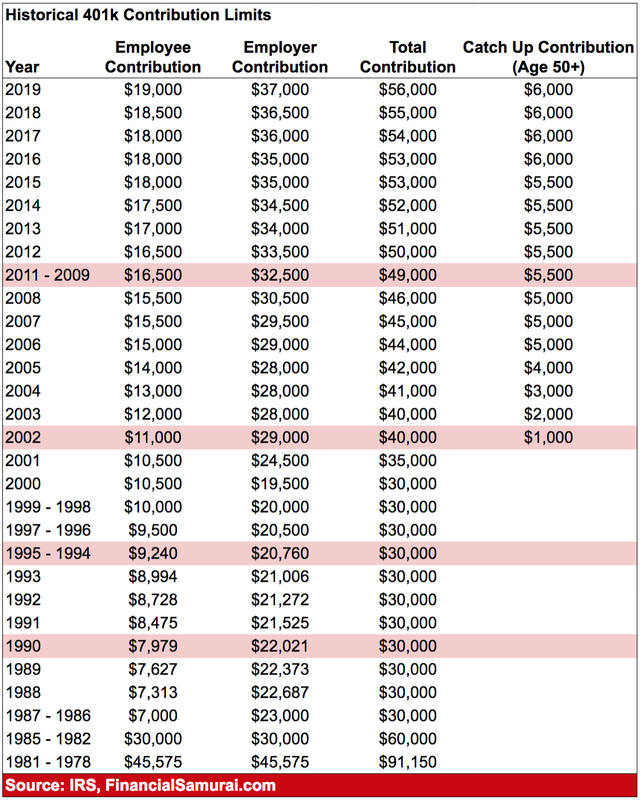 My combined income is around 300k, so I do i backdoor roth every year….. current savings plan…. 18K in 457b, 10K in TSP, 5500 in back door Roth, 2000 in 403b. Wife… 12,500 in Simple IRA, and 5550 in backdoor roth. IRS Publication 560 covers all the plans being discussed: SEP, SIMPLE and qualified plans (Keogh, 401K, etc). It seems pretty clear the maximum contribution of $52,000 (2014) is across all defined contribution plans (regardless of where the money originates) for a given individual. More than one plan. If you contribute to a defined contribution plan (defined in chapter 4), annual additions to an account are limited to the lesser of $52,000 or 100% of the participant’s compensation. When you figure this limit, you must add your contributions to all defined contribution plans maintained by you. Because a SEP is considered a defined contribution plan for this limit, your contributions to a SEP must be added to your contributions to other defined contribution plans you maintain. If you don’t like the IRS version, here’s a lengthier version in plain English. The way that a defined contribution plan works is that either an individual alone, or an employee and the employer make contributions into the plan, usually based on a percentage of the employee’s annual earnings. Each participant has an individual, separate account. There is no way to determine in advance what the final payout at retirement will be. Benefits depend on how much was contributed in the employee’s name and how well the pension fund investments performed. So, the risk of fluctuations in investment return is shifted to the employees. The government sets a limit on how much can be contributed in an individual’s name each year no matter how many different plans he or she participates in. The total amount that can be contributed in one employee’s name for 2014 is the lesser of $52,000 ($51,000 for 2013) or 100 percent of the employee’s annual earnings. The contributions are allocated to separate accounts for each participant based on a definite, predetermined formula. Forfeitures can be reallocated to remaining participants. The defined contribution plan category contains a broad range of plans including profit-sharing plans, money purchase plans, 401(k) plans, employee stock ownership (ESOP) plans and two types of plans especially popular with small businesses: SIMPLE plans and SEPs (simplified employee pensions). Just to emphasize, the above quote Chris cites from Pub 560 refers to all the plans “maintained by you” i.e. as the employer. So this answers the previous question: “Can one have small-business 401k and SEP-IRA side by side?” You can be self employed and set up two defined contribution plans (solo 401k and SEP), but the max is $53K across both plans because you are one employer. 1. The required salary is $140,000 (not $212,000) to contribute $53,000 to the 401K. 2. Spouse can (magically) act as another owner/employee which doubles possible contributions to $106,000 without needing another employer. This is one of the first examples on the IRS website. Both of these aspects are explained with examples @ . Using your 140K example, if one contributes 18K as an “employee” and 35K comes from employer as 25% of 140K income, I wonder if one can have a separate SEP-IRA to contribute 25% of ‘eligible compensation’ in the form of employer contribution? – Can one have small-business 401k and SEP-IRA side by side? – If so, can we try to max out both using above example? You can definitely have a 401K and SEP IRA at the same time. You can definitely max out both plans. The question is really “How much total $$$ will the IRS allow you to contribute to (tax deferred) retirement plans?” and is much harder to answer. The simple answer is $53,000 for 2014. One website states “The IRS limits the total amount that can be contributed to your SEP IRA and your 401(k) plan by both you and your employer. In 2013, the limit was $51,000.” Other people (including FS) have mentioned combining one employer plus a side job to effectively double that limit. Perhaps that’s valid assuming the IRS doesn’t see anything resembling a controlling group in the two business ventures. The real problem with many of these discussions is lack of precedent in IRS tax court which is the *only* place that matters. How many individuals are filing returns showing they are employed by multiple unrelated businesses and putting aside over $100K in retirement funds? That’s when you start walking into the gray zone for anything outside of the box when it comes to taxes. At some point, you have to recognize the IRS isn’t stupid and has ample power to question and/or invalidate ALL contributions along with ample penalties. It could even be considered fraudulent and subject to criminal charges which include jail time. Pushing the envelope is fine, but realize it might eventually push back. If you earn $1M annually and put 100% into tax-deferred retirement plans, you will be audited at some point and have to defend the contributions. That’s really the only time these decisions have any relevance at all. Long before that happens, I’d personally want to see one or more IRS tax court decisions that explicitly rule on the legality (or not) instead of being the guinea pig. Maybe those decisions already exist on this topic (I would think so). I’m not wealthy enough to know or care since it doesn’t matter for our circumstances right now. Another possibility (as outlined nicely in one of the Jan. 2015 posts above) isn’t juggling multiple retirement plans. It’s establishing a defined contribution plan along with a defined benefit plan. However, the plan setup and compliance alone for this approach demands you work with a highly experienced tax professional and not rely on drive-by blog comments. For someone earning the $400-500K annually (or more) that would make this step worthwhile, I’d really hope they are interviewing financial advisors familiar with this strategy and paying whatever they’re charging. Great post! I am in the same boat. Me and spouse work day jobs and make 250k yearly combined. We set aside max 18k yearly in each 401k account, and employer matches put max total to 25k on each our 401ks. So there is 50k combined set aside. This solo 401k for business allows us to keep 53k aside in EACH of business solo 401ks. You can set it up as SEP-IRA depending on your unique circumstances. There is total 156k yearly set aside in retirement in our case. We can’t go over this right now. I realize that business income could fluctuate, but even if set aside 100k plus yearly…I am a very happy camper. There you go! Congrats! It’s funny to see doubters about this possibility, even though they don’t have a business and/or make these levels of income. Gotta love America! Even without spouse in the picture, what you explained above is 200% possible – it is not a joke, it is very simple, as long as folks have enough money inflow through their day job + enough income on their business side. Another example: a friend of mine has a day job where they both set aside 25K each max through their day-job 401K (employee + employer contribution); plus, another 25k max through their solo 401k as this is all they can afford through their passive business income. NOW, what is wrong with even setting aside 100K+ in one’s retirement accounts annually? You are absolutely right…Gotta love America! Sam – question for you if you have a minute to answer. My wife has moved to a contractor role making $35,000 a year. I max out my 401k at work. We are not eligible to contribute to an IRA for her due to income limitations. We are in the 33% bracket. What I am thinking of doing is opening a SEP IRA for her so she can at least save some tax-free. Simple calculation is she could save 25% of $35,000 = $8,750 tax free, which would save us $2,887 in taxes. Not a great amount but still a savings. Would you recommend doing this? Do you prefer SEP to self 401k? I don’t envision her income going up very much – this is a side business that she is not looking to grow right now. That’s a good rough calculation and something I’d try to do for sure. SEP IRA has more investment options to choose from. But they are both roughly about the same. No, a 401k is better at lower incomes because you can put more away, the contribution calculations are different. Stupid I know, but expected. Hey Sam, Thanks for the great posts. I have been a reader for a while now but this is my first time commenting. I have a question about maxing out the 401k contribution upto $53k. My employer gives the option to invest in an after-tax 401k account and also provides provisions to do an in plan conversion into roth 401k so that the earnings can grow tax free. As per the employer website, there are no restrictions on distributions from the in plan converted funds unlike the pre-tax or direct roth contributions or earnings. I found this too good to be true so I called fidelity and their rep was clueless about the provision. He read the link I sent him and told me that my interpretation was correct. Given this interpretation the obvious strategy for me is to max out my pre-tax 401k (18k) and then put the remaining in a post-tax 401k and roll over the funds to the roth 401k once every paycheck cycle until I max out the 53k limit. Ideally, at the end of each year I would like to roll the in-plan converted 401k to a my roth IRA account (with Vanguard). However, I am not sure how my basis costs will be calculated by Vanguard. At the end of the year I will have three different pools of money – (1) After-tax 401k contribution; (2) Taxable earnings during the small period of 3-4 days it takes to do the in-plan conversion during each pay-cycle; (3) roth earnings. Do you think Vanguard will treat these three pools of funds separately or will I need to this myself. The reason why its important to keep track of the three pools is because of the way these funds qualify for an unqualified distribution from a roth IRA per IRS. Glad you are doing your research and investigating more into what is possible. Most people don’t know, because most people don’t bother to run various scenarios. You must keep track of three pools for the reason you mentioned. My advice is to wait until the end of the year and into the new year, see what you can contribute, and then contribute in arrears. That way, you’ll have a better idea i.e. fund 2014 before April 2015. I am gonna try the complete process with a small portion of contribution (1% of annual income) to the after tax 401k to see for myself how the process works. As a side note, the complete process has been discussed in great detail on bogleheads and is often titled as Mega-Backdoor Roth IRA. Why don’t you do a post about it as most people still seem to be unfamiliar with it. Hey Sam – Great article! I actually have an employment/compensation setup that lends to the employee + contractor setup perfectly. I think I’ll be running this idea past an accountant to figure out just how much the 1099 vs. W2 income will cost. I’ll let you know if I end up doing it. One question (or maybe not very clear in the post?) on the FICA tax: If your W2 income is >118k and thus social security tax is maxed out does your 1099 income get double social security taxed? It seems to me that the contracting gig would only be responsible for the 2.9% Medicare portion of FICA. I’m a W2 employee of a physician group where receive a max $53k SEP. I also moonlight as a 1099 independent contractor at a different hospital where I contribute to a Solo-401k. The gray area I’ve identified is the “common ownership” caveat. I’m technically a shareholder of my physician group (along with 50 other docs), but am still paid as an employee. If common ownership is identified, would that disallow both the employEE ($18k) and/or the employER (20% neg profit) contributions? Nice job maxing out to $53K for the SEP! If common ownership is identified, I think you are maxed out at $53K across all funds. I would call your retirement fund administrator for clarification. I don’t know how the IRS can tell if you have common ownership, but I think there is a percentage threshold. Let us know what they say! Wow this is quite a lot to take in, and also very fascinating! I found it hard to believe that a recruiter told me that very few companies offer 401k match anymore, and if that’s true, it’s good to know that there are other possibilities to grow our retirement funds besides just a 401k by itself. The more we know, the more opportunities we can seek out and use to our advantage. Sam – nice article. Question for you, have you considered a Solo 401k with a Cash Balance Plan? Depending on your age you can really put a lot of money to work. A 40 year old can put an additional $74k this year into the cash balance plan, in addition to the 53k in the 401k portion. Long story short you are combining a defined contribution plan with a defined benefit plan and able to save a ton of money! I have an s corp, but I only pay both wife and me around 24k a year, now the rest is compensation which saves us the 15.3% if it was regular pay. If I make 24k plus 200k in compensations can I have a SEP IRA of 25% of 224k? Clueless about this, also I some people tell me to pay myself more but the accountant keeps telling me why would I want to pay social security…etc..
Sam, on a related note can you do an article if the side business should be set up as an LLC, S corp or C Corp to shield earnings from taxes if you as the owner are the only “employee” of the corporation. I’m spent for now writing this post. But perhaps you can do the research and write one with your thoughts on your question to post here! Funny, I’ve been doing this research as well. Another note you forgot to add. You can contribute a max of 53k into your solo 401k and 53k into your SEP IRA. C) Now your pro-rata tax basis is zero. Pre-tax money is shielded by 401k. D) Contribute 5,500 to traditional IRA on an after-tax basis. Considering you paid taxes on it, your pro-rata basis will stay zero. E) Convert traditional IRA immediately to roth IRA. (hello backdoor ROTH!). This works because all the money in your IRA is after-tax basis, and congress allows backdoor roth. F) Enjoy the free moneys in your account. Repeat ad naseaum each year. Uff, it’s ‘annoying’ to see you have SO MANY options in the US, while in my country nothing is certain at this time (except for the fact that ‘state’ pensions, the only type of pensions that are provided ‘officially’, won’t work in the future – the system is almost bankrupt even now). There are some private pension options, but some are scams, so we’re actually clueless. Saving money on our own and maybe purchasing gold .. these are our options at the moment. Which is your country again? Canada? If so, you got free health care, whoo hoo! All good! Don’t worry, we contribute pre-tax now, but we have to pay taxes on withdrawal. So, it comes around eventually. But, there does seem to be better tax management in America…. compared to high tax states. But,HK, Singapore and maybe Russia are the bomb….. low flat tax! While not applicable to me (Canadian living in Germany) I love tax posts as it’s area few focus on pr think about. For example few Canadians are aware that that an RRSP. can be used to transfer income to a higher income spouse to a lower income one(say Doctor and SAHM) – or that in retirement you’ll take home more on less income due to income splitting and extra tax breaks. Here in Germany if one owns real estate you can write off travel costs (done properly you get tax subsidised vacations. I completely agree with your philosophy about showing people what is possible. As a business owner myself, I have moved through many iterations of optimization for different level of “operating profit” (I use quotes since that term is subjective for owners). I tend to think of it in this context as the money available to compensate yourself and potentially your spouse (assumes no other employees) through any manner of routes (payroll, distributions, retirement funding, healthcare reimbursement, …). 1. Up to about $200-250k – use the 401k route. Requires W2 wages of ~$140k + company contribution of $35k + other expenses. Net is about $53k of tax deferral. 2. Between $250 – 500k – maintain 401k but add a defined benefit pension. Higher contribution from company that will be rolled out to an IRA later. Continue $18k from EE for 401k. Lose ER contribution of $35k (a higher amount goes to pension fund) but can still do a 6% profit sharing match. Net is about $100 – 150k of tax deferral depending largely on age and W2 comp). 3. $500k – $1M. 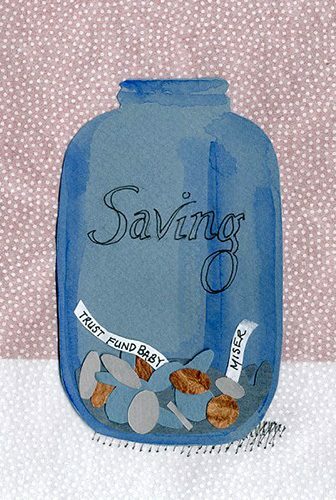 Setup a benefit focused pension (not commonly known). This adds a cash value life insurance element as well but is worth it if you run it for 3+ years. Still have 401k and 6% PS. As above, this gets rolled out to an IRA eventually. Net is $200 – 300k of tax deferral, again depending on age and W2 comp). 5. Add an ACA compliant health plan (section 105 or HRA or similar). If you don’t have other employees (spouse is okay) and depending on your entity type, this could pay all your medical expenses pre-tax. 6. Get a subscription to the Bradford Tax Institute. Extremely valuable with a wealth of cited articles about how to maximize tax savings for business owners. As an example, I saved almost 50% of seven figure earnings in 2014 in a tax deferred route. It could be much higher for some people, but I am relatively young at 35, so I don’t get nearly as big of a pension contribution as folks in their 40’s and 50’s. Another business owner I know with the same plan gets about a 40% higher pension contribution since he is 7 years older than me. Again… this is just to help illustrate what is possible. I hope this helps if you didn’t know about it already. It is always worthwhile to invest in assets whether tax deferred or not. I like the approach of tax deferred, subject to capital gains and tax exempt. I thought there was no income limit for contributing to a Traditional IRA, only an income limit over which there is no tax benefit. For the last few years I contributed to a Traditional IRA and rolled that into a Roth IRA to get the tax benefit on the Roth even though I received no tax benefit on the Traditional. Mind you, my company has no 401k, so this is my only option for tax-advantaged investments. Am I missing part of the picture here? Thanks! Correct, 100% phaseout after $71,000 for an individual for $5,500 tax-free contribution. You can still contribute after making $71,000 but not tax free. So what I got out of this post being an employee only and my husband as well, is that we need to set up a side business and then we can invest more for retirement. We max out out 401K’s and our Roth’s (though we may not be eligible for 2014) and save an additional amount per year in taxable accounts and 529 plans. But to save more for retirement, we need to set up a side business, correct? Correct. Think of creating a business as creating a separate entity/individual. And the other goal is to obviously make enough to save up to the max. For me, I was thinking for a year… let’s just make some side money as a consultant, but really consult for the adventure and the learning. But, now that I know I can save $53,000 from my consulting business alone, heck.. maybe I should target for a $212,000 – $260,000 income too? Could be a fun challenge! I wanted to let you know that I just had a lunch meeting with the principle of my company because of this article. Last year I was stuck in a rut, content with the job I was doing and my compensation. This year I decided I needed to take on more responsibilities, especially since I have the highest designations possible in real appraising and have been doing this for 10 years. I asked my boss to lunch to see what else I could be doing in the company to make myself and him more money. It was a very productive meeting and while things are not quite ironed out, I have some goals for 2015 that if successful should prove very lucrative in the next few years. I appreciate all the articles you write and I enjoy reading them. Thanks so much for the motivation I needed to inquire about the next step in my future! Question: Can 25% of rental income be contributed to a SEP-IRA in addition to 401K contribution made from an employment income? Hmmm, not sure. It depends on I think your employment status and your income level. For example: If you set up a rental property business on the side with a SEP-IRA plan, I don’t see why such income can’t be 25% include in a SEP-IRA while you contribute 401k pre-tax contributions at your day job at XYZ company. There shouldn’t be discrimination between what type of business you are making income with. Talk to some tax guys and let me know! I might just have to do the same thing…. but my problem is, then I’d have ownership in two out of three entities, and that doesn’t fly. has anyone looked at creating a defined contribution plan. My understanding is you need an actuary to set it up, but you can shield even larger sums of money. Yea, I know a guy who claim to sock away $160,000 a year into define benefit plan, and pay no taxes to the irs. He’s kind of a shady character so I am not to keen on following his lead. I remember bringing up to my accountant and he said something to the extent that it’s better to set it up within a decade of retirement. I don’t remember the logic. Something like if you set it up for a certain amount you are obligated to fund that much every year and there is no flexibility. I would like to know more about DBP also. I’d be interested if you have any insight into this. Have you considered creating your own defined benefit plan such as pension? You can save a ton more money in combination with a solo 401(k) and SEP-IRA, while reducing your tax bill, since it can be claimed as a business expense. Here is an article from US News if interested. I haven’t. Might have to look into it! Right now, the SEP-IRA + Solo 401k + rollover IRA (which I don’t contribute to anymore) is about all I can manage. We’ll have to pay taxes at the end anyway. If I can get to $106,000 pre-tax savings each year + my post-tax savings goals each year, it’s a good balance and enough for me. Interesting read. More encouragement to start my own business. I found some errors in your chart. Your 3rd scenario should say 31k I think. And I think you meant you wouldn’t want to earn 424k as an individual. Because as a couple you are still safely within 35% tax bracket per your chart. Thanks for your research also the phase out that is your AIG right? Great catch. I originally had in scenario 3 just the 401k plus SEP-IRA contribution and not a 401k match. Corrected. ~$424,000 is just the simple theoretical income amount one has to make combined between two entities to be able to contribute $106,000 in pre-tax retirement contributions. One has to make $424,000 across two entities, ideally at around a $212,000 split to max out $53,000 each. If you make $424,000 as an indy contractor, you can’t contribute 25% of that amount b/c the max is $53,000 = 12.5%. One more catch while we’re correcting things: Under ‘Following the Government’s Lead’ the House imposed additional tax on anything over $413,200, not $411,500. Great article though Sam. I often say, “You don’t know what you don’t know.” People have no idea that in today’s world, there is so much out there that can benefit them, but because it is impossible to have exposure to everything, you don’t realize what applies to you. Gotta keep your head attached and be constantly looking for an edge. Isn’t the 35% tax bracket absurd? Why do you think the income band is so tiny. Why does the government even bother? There is no replacing real world experience. Learning by actually doing. I knew being a contractor for the past 13 months would teach me a lot (posts in the queue). But it also really taught me about this extra potential retirement target. That’s a nice bonus. I wouldn’t have bothered to speak for hours to so many people and write this post if not. As Sam pointed out, if you already have a 401k through your employer then the max you can contribute is 18K. You can’t contribute 18K to the 401k provided by your employer and 18k to your Solo-401k. If you have a 401k through your employer then you’re going to want to open and fund a SEP-IRA. Additionally if you have a high deductible health insurance plan, you can max out an HSA at 6650 this year for family or 3350 for single. So to recap, 18k to your employer’s 401k, Up to 53k in a SEP-IRA based on ~260k of self-employed income and another 6650/3350 to an HSA assuming you meet the high deductible requirements. The big take away from this is that EVERYONE should start some kind of side hustle. The tax laws are written to provide the most advantages to business owners and investors; not employees. Great takeaway, with one caveat. Part of the reason why I wrote the Maximum Taxable Income for Social Security & Medicare is to remind people that if you are a small business owner who pays yourself a salary, you pay BOTH SIDES of the FICA tax (12.4% + 2.9% = 15.3%) up to $118,000 for now. Then there are all these extra business taxes one has to pay. There’s no free lunch, but there is more flexibility as a business owner. Have you done a poll to determine how much your readers make yearly? Most of your posts always use examples of 200k+ incomes. My wife and I make around 90k combined, and there’s no way we could max out a 401k each while still saving for a house. And we’re pretty frugal, both of our cars are paid and 11-13 years old, respectively. We don’t go out to eat, we cook together at home. And any vacations we take are almost 100% paid by miles and points. I just started investing in dividend growth stocks over the summer, so at least we’re headed in the right direction. We’re still fairly young, 29 and 33, but my wife being a teacher means she won’t be making a ton of money. But I’m self employed, so there’s definitely potential for me to be making more if I can start some new companies or side hustles. I’ve done several polls before on how much one saves a year and net worth. Let me double check, but I believe the median household income of readers here is in the $80,000 – $120,000 band e.g. 100% higher than the national median. I know this post isn’t relevant to most people, but this post is here to show people WHAT IS POSSIBLE. I’m always on a hunt to learn new things and share things with people. If we only think making $100,000 a year is possible and saving $18,000 a year is possible in our 401k….. that is probably all we will ever do. Once we realize more things are possible, like breaking the 4-minute mile by Roger Bannister in 1954, suddenly many more runners started achieving this once impossible goal! I really like the way you approach this Sam. Ever since I started reading your blog, I’ve opened my mind to more possibilities. My wife and I are comfortable with a combined salary just north of $200k, but I realize there are so many opportunities to increase that well beyond what I had originally considered. It’s good to always question why things are the way they are.. from why Presidents debate at what income level to raise taxes, to the tax rates, to the pre-tax retirement plans, to what companies have to pay vs. what employees have to pay etc. Maybe tax rules – and there are many – will change in the future. But for now, I’m amazed by what is possible on a pre-tax retirement contribution amount if one can overcome the five hurdles I mention in the conclusion of my post. The employer contributing $53,000 to your SEP-IRA is an EMPLOYER’S DEDUCTION, and the employer’s prerogative. If one is lucky enough to find an employer who is willing to pay you $212,000 + $53,000 in SEP-IRA, multiple times, then fantastic. That is the rarity. $200-$250K is a very comfortable income for two… I think it is the ideal income for one. To replicate that “idealness” for a married couple with up to three kids, I think that number is around $350K. Here is the question I have. Is the 25% based off of net income for the business or gross revenue? It’s on net income, and remember that the “net” does take into account the contribution itself. But I’m afraid the ship may have sailed for your 2014 sole 401K – I believe a sole 401K needs to be set up by 12/31 (and funded by your 2015 tax day), whereas an SEP just needs to be set up (and funded) by your 2015 tax day. Given the good discussion above on the pros / cons of sole 401K versus SEP, you may want to do a sole 401K, but you’d start contributing in 2015. Question on this PK! From a business owner’s perspective, isn’t the solo 401k contribution considered an “expense”? You are saying the bottom example is correct right? Even though the bottom example can be massaged due to expenses. Yes, I believe the bottom example is correct, but the circular part comes in because you need to account for the sole 401K contribution as an expense when calculating the net income that’s available. I think a good rule of thumb is that you’d use 20% rather than 25% to calculate what you’re going to be able to put away, but you need to use the actual worksheet to get a precise figure because of the self-employment tax deduction. But if your company were your only employment, the bottom example also highlights why a sole 401K is so cool because the employee contribution of $18K would just about wipe out income and make the 25% employer portion a non-issue. Please bear in mind I’m answering this with my LLC / disregarded entity hat on – I haven’t thought through what it’d look like if you were taxable as something other than a sole proprietorship. And Gen Y guy – in re-reading your note, you should probably stick with an SEP anyway if your employee 401K contribution is coming through your current employer – since you’re getting it there, the sole 401K doesn’t have an advantage for you. The sole 401K has a bit more reporting requirements (Sam can probably detail those – I don’t have one as I opted for an SEP), so the SEP would likely be superior for you, and the window’s still open for you to do that for 2014 taxes. Im sure you’ve figured this out already….but the contribution calculations are different for a SEP and i401k, the good part being you can put more away with lower income in a 401k. Also, you can put 100% of your income away up to the contribution limit. Will this still apply if the employer doesn’t provide 401k? My husband is an independent contractor which he already has solo 401k that contribute to max (as employer and employee). 3 month ago, he sign up for another job which put him on the payroll, and the company doesn’t have any 401k benefit. If your husband works for an employer with no 401k or no retirement contribution plan, then it looks like he is stuck and can only strive to max out his solo 401k to $53,000 based off income of $212,000+. Solution 1 from the post: Find a better employer if retirement savings is a priority benefit! Another great article. And yes, it does feel like you’re getting away with something to shield so much money from taxes! I believe you’re right that the max contribution is not a simple 25% calculation. Rather, the SEP (or employer portion of Sole 401K) contribution is deducted from income during the calculation, so your income to max out the $52K/$53K contribution is even higher (it’s a bit of a circular calculation as a result). Here’s a link that helps with the calculation, and it does confirm that $260K is the magic number for 2014: https://www.fidelity.com/bin-public/060_www_fidelity_com/documents/SEP-cntrb-wksht.pdf. At low levels of income that definitely makes the Sole 401K (with the $18K employee contribution) a better way to shield from taxes, but if someone were to work for a regular company with a 401K in addition to his/her own business, you only get a total of $18K as an employee across all plans. And ditto on consulting a tax advisor! This stuff is complicated, but it’s a huge opportunity to avoid taxes. Awesome PK for highlighting the link that shows that $260,000 is the magic number to get to $53K contribution per account for the SEP-IRA based on taxes and other adjustments! Love this community for everybody’s various insights. I spent two calls and 1.5 hours talking to Fidelity, another several hours putting together this post with charts, and another hour talking to another tax guy. So many people either believe $18,000 in 401k is the pre-tax retirement limit. So many others think $53,000 is the limit across all accounts. The reality is, one can theoretically contribute $53,000 per account based on my 4 conditions above at the end of the post. This post is to highlight WHAT IS POSSIBLE. The exact figures will vary, but the possibility is MUCH GREATER than what a majority of Americans think they can contribute. How is compensation defined? What if you wholly own an LLC that that holds a few real estate assets that generate net income from those assets of $50,000 per year, can you then contribute a percentage of the net income to a SEP-IRA or Solo-401k? Also, while this is a great strategy for high income earners, there is a group of folks in their late 40s right now who have enough to retire if they could only access their retirement accounts sooner rather than later without penalty. For this reason, I wonder if those of us who are on the younger side should first max out our traditional 401k, then save 20% in a brokerage account to fund the gap years between early retirement and real retirement, then save whatever is left over in a SEP-IRA or Solo-401k. It is net income, or operating income, net revenue. Check out The Rule of 72t or early withdrawal of retirement accounts without penalty. I don’t think this is correct. It has nothing to do with 2 different plan types (SEP-IRA and solo 401k) versus 2 plans of the same type (2 SEP-IRAs or 2 401k plans). You get a separate $53k limit when you have two unrelated employers. You can’t just organize your own businesses into two different entities and double up on your limit. When your businesses form a controlled group, they are treated as one for this purpose. It is correct for 401k plans because the $18,000 contribution limit is the max across all 401k plans. Hence, if you work for an employer who provides a 401k plan, it’s better to open up a SEP-IRA as an independent contractor or vice versa. You get separate $53K limits with two unrelated employers so long as you don’t have ownership in your employers. When you said “[a]s an employee of an online media company” I thought you were talking about your own company that publishes this blog. The key is not having ownership in your employer. Negative – the $53,000 limit is across all defined contribution accounts combined. That’s what I thought too, until I did my investigating and talked to my small business plan specialists and a tax accountant. So long as you don’t have common ownership in your employer, you can theoretically keep maxing out to $53,000 if you find a generous enough employer and if you yourself as an independent contractor have the hustle and savings discipline. Good post to explain a next stepping stone above the standard, single 401k route. The issue is that you are effectively paying 15.3% in payroll taxes (EE and ER) + 0.9 additional medicare tax on the amount over $200k at tax time + FIT at the highest marginal tax rate of 39.6% or just peaking at the second highest of 35% to get this benefit. Remember, at that level of comp, your biggest expense by far is taxes, taking a 50-60% bite or more of comp when you add everything up across you, your business, and other businesses. There are better, more tax efficient ways…. 2) Encourages the self employed to target at least a $212,000, but closer to $260,000 for SEP-IRA income to max out $53,000. The decision to work harder beyond this income is once again called into question. 3) Explain that $18,000 or $53,000 is not the limit. Can you share what exactly the “more tax efficient ways….” are? Individual Defined Benefit plan which would allow higher tax advantaged contribution limits would be more efficient but you really have to be making big bucks consistently to take advantage of it. Also, Sam, I think the advice that you’re receiving on the $108,000 limit in 2015 is correct. The way that the Solo 401(k) was intended to work was that the owner/employee could contribute up to $54,000 and then have a spouse contribute the an additional 54k (must be based on W2 income) – it sounds like at least from the IRS vantage point they don’t really care if you have a spouse but rather will allow an owner and an contractor (who may be the same person) contribute up to $108k. sorry for the typo – that should be 53k limit for 2015. Question: I have a day job + 2 businesses. Can you use your income from your day job to contribute to the Solo 401K? Or is it income strictly from the business that the Solo 401K is tied to? If the business is a Sole Prop or LLC but taxed as Sole Prop, I can invest (or put money into the business account) using from my day job. Can I put this into Solo 401K? Your day job income has to stick with your day job retirement plan, and your business income sticks with the business retirement plan. I have considered this strategy with the SEP-IRA with my wife’s company (filed as an S-Corp), however there is one thing to go over. The contribution is based on salary, not salary+distributions. The advantage of an S-Corp is to save on payroll taxes by splitting income into salary, which has payroll taxes, and distributions, which does not have payroll taxes. So to take advantage of the SEP-IRA, one must increase their salary to $212,000, paying additional payroll taxes than if one were to keep a lower salary and pay higher distributions. I see it as a paying a premium to defer taxes. This may be justifiable based on the earnings of the company or the individual’s estimated tax rate during retirement. You are correcto regarding contribution is based on salary, not salary+distribution. For the SEP-IRA maximum of $53,000, the estimated true contribution is closer to $260,000. I just used $212,000 as a target income figure b/c it is easier to understand ($53,000 / 25% = $212,000). Instead of a SEP-IRA, look into a defined benefit plan. She can contribute $200K+ dollar-for-dollar of her compensation with a DB Plan instead of the 25% income limit with the SEP. I set these up for my business clients who want the maximum contribution. This is one of the great benefits of moon lighting in your own business (there are more). I strongly encourage people (whom have the interest & energy) to start out this way. It greatly lowers the risk of your start up. Good point about $7 million being the new $1 million in 30 years. Because it’s so gradual, I don’t think enough people realize how much of an effect inflation has on retirement savings. Inflation also has the same effect on income. A six-figure income today isn’t as powerful as it was 20 years ago. Good information, well researched it seems. I could easily retire on 1 million bucks if I wanted to though! Very comfortably. All about where you are and what you wanna do. What you are saying is factually incorrect. You can only defer up to $53,000/year if you are under 50. This includes your contributions to a 401 (k), the employer contributions to a 401K, the employer contributions to a SEP IRA and employee contributions to a SEP IRA. If you do not believe me, try deferring $106,000 per year, and see what the IRS does about it. The biggest confusion people have is thinking $53,000 is the limit across all accounts. I thought the same thing too. $53,000 for 2015 is the maximum you, the individual/sole proprietor/owner of your business can contribute. But if you are somehow an amazing person who can get employers to hire you, pay you lots of money, and contribute the max $53,000 a year, then it’s the individual company’s choice to contribute to your retirement up to the maximum if they wish. It helps to think like an employer when it comes to such dynamics. And if you are only an employee making a W2 wage, then it’s understandable why it’s hard to think like an employer. The other big hurdle is the common ownership. You can’t have ownership in your employer b/c the IRS doesn’t want double, triple, etc dipping. Agreed! Hence hurdles #2 and #5! But, it’s nice to know that making $424,000 – $480,000 in two entities (can’t do it in one) will allow for $106,000 in tax deferral. Feel free to ask a tax advisor/accountant/friendly IRS agent their thoughts too, and report back pls. Late entry, but I’ve been researching ways to extend maximum contributions. This is a tricky subject that confuses most everyone, as it likely should given its a rare concern. Due to vagaries and inconsistencies in the law (thank you lazy congress!) 401k plans are not per person but rather per job. So you can conceivable have more than two even. However the employee contribution is consistent across accounts at 18k. So you just have to pay attention and make sure the higher paying job pays as an employer and you max out the employee side on the least paying pursuit. As long as the jobs are separate or materially different this is true for 401k plans. Dividend growth seems the one wrong its you. Arrogant. Financial Samurai is right. As long as you don’t own both companies, you can get two $53K contributions to your SEP-IRAs. If you want to deduct $212K for your side business, consider setting up a defined benefit plan. You can deduct 100% of your earned income up to $250K. Btw, I’m a CPA and financial advisor. Thanks for verifying and chiming in Brian! Btw, how did you stumble upon this article? I was searching on Google for something retirement account related and your website showed up on the search results. The title of your article caught my attention so I decided to check it out. I’m impressed with the quality of your content and writing. 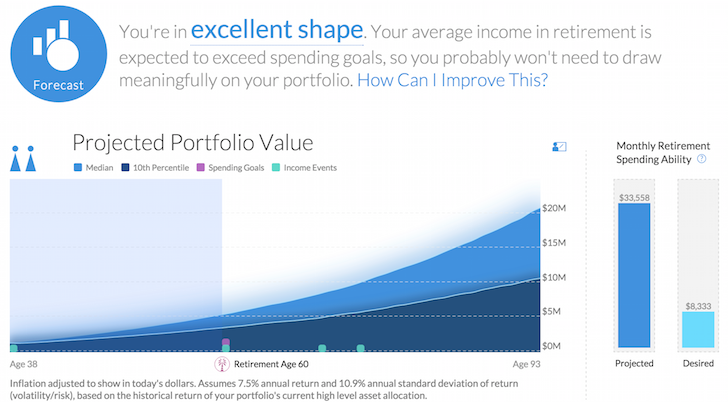 The financial advice you give is better than other blogs and your readers are smarter. I’m guessing this is b/c you have actual experience working in the financial services industry. Too often I’ll read a blog where the author doesn’t know what he’s talking about b/c he has no real world experience as a financial advisor. I read a few more of your articles and our financial philosophies are similar. I specialize in tax saving strategies for businesses and individuals using methods that most CPAs are not aware of. If you would benefit from forming a strategic partnership with a CPA, I’d like to meet you and maybe write a tax article. My office is in Santa Clara. I have defined benefit contribute 50k/yr trhough my LLC. I am also employed and max out my 401k. Brian, Can you please clarify this case scenario? *If I move mine and wife’s annual combined W2 salary of 400K to defined benefit plan, then (1) I pay ZERO taxes on W2?? (2) I only pay a flat 15% tax rate of distribution dividend rate on any income above and beyond $400K?? When you contribute to a defined benefit plan, you’re not “moving” money from your W2 salary to a defined benefit plan. The money you contribute to a defined benefit plan creates an additional tax deduction for your business. 1) That’s not how it works. You still pay taxes on W-2 income. See example below. 2) Sort of b/c you pay a flat 18.8% or 23.8% (15%/20%+3.8% Obamacare investment tax) on dividends you receive depending on your tax bracket. However, if your company is a C-corporation then the dividends get “doubled taxed”. I am little confused: where do you pay taxes on W2 400K when you transferred that entire thing to DB plan? The tax rate on 500K net and 100K net will be either 18.8% or 23.8%? The DB plan contribution doesn’t show up on the W-2 like a 401(k) contribution would. The company gets the tax deduction…not the individual. So you would pay yourselves $400K in salaries AND contribute $400K to a DB plan. The tax rate on the $500K or $100K net income depends on the type of business entity. The company pays a corporate tax of 35% on the net income. For dividend distributions, the individual pays 18.8% or 23.8%. The individual pays 7.65% self-employed tax on the salary. The individual pays about 27% income tax on the salary. The company pays a corporate tax rate of 0%. Dividend distributions are generally tax-free (unless distribution exceeds stock basis). The individual pays about 30% income tax on the salary and K-1 income b/c the taxable income is higher due to the K-1 income.